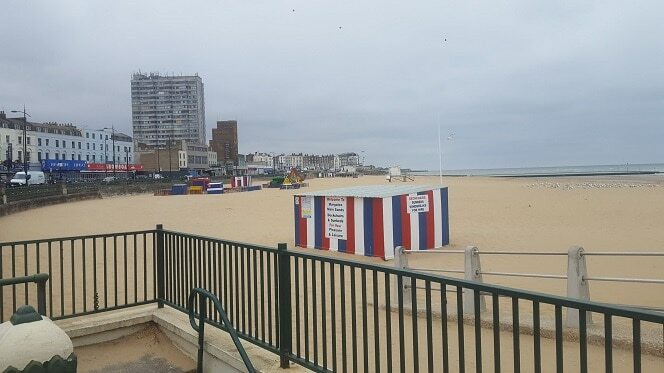 A woman suffered minor burns after a man is reported to have set light to spray from an aerosol can during an incident on Margate Main Sands. Officers would like to hear from anyone who witnessed the attack on the afternoon of Wednesday 15 August. The woman, who is in her 30s, is also reported to have been hit with a crutch. A 23-year-old man has been arrested on suspicion of assault and released on bail pending further enquiries until Thursday 30 August. He and the victim are believed to be known to one another. Anyone with information is urged to call the appeal line on 01843 222289 quoting reference ZY/47877/18.